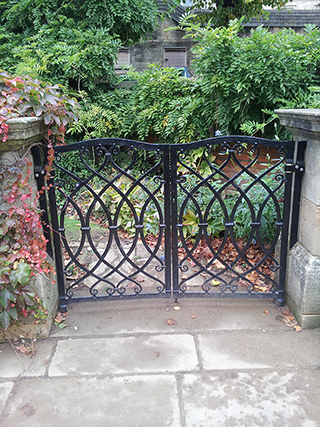 Decorative wrought iron and steel by Hampshire Metalcraft, a company producing the highest quality ornamental and architectural metalwork. 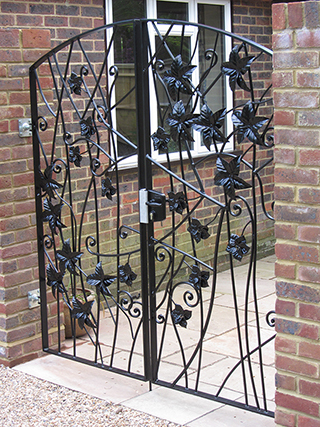 Cliff Madgwick of Hampshire Metalcraft has 35 years experience working with metal. Using traditional blacksmithing skills combined with modern metal working techniques, Cliff delivers a complete service from initial design to installation. Cliff’s high quality, bespoke work includes staircases and handrails, furniture and decorative architectural features, often with a clients’ request to combine existing period metal work into their new project. 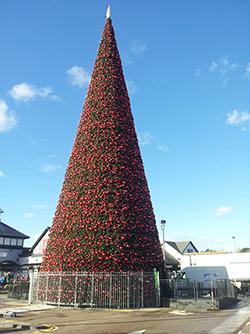 A specialist in producing bespoke gates and railings for domestic and commercial premises, Cliff is also renowned for unusually sized projects from a 25 centimetre altar cross for a local Church to a 27 metre Christmas Tree displayed each year at Ellesmere Port, Liverpool. An extensive repair service is offered and Cliff has completed many restoration projects on Heritage and Listed buildings, from tiny window latches to complete roof structures and buildings. 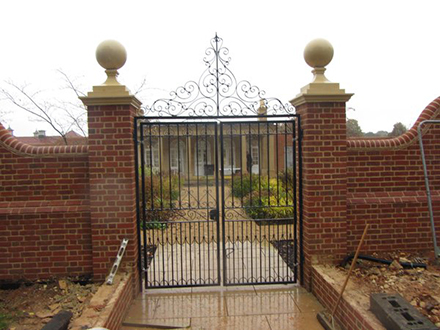 Cliff works from his Forge in Ash, Hampshire, undertaking projects for clients across the southwest of England and is the premier choice for Surrey and Hampshire. 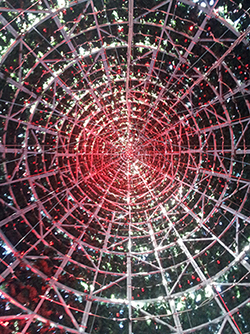 "Amazing, bespoke, 27 metre Christmas Tree." 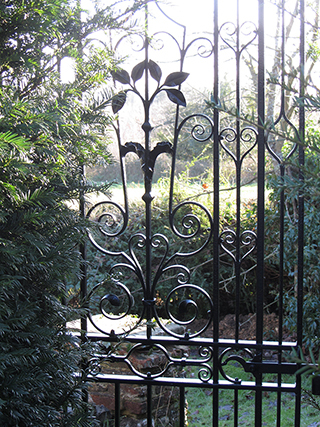 Due to Wrought Irons' workability under the heat and hammer, it can be moulded into any shape - creating that 'something unique' for your home, garden or commercial space. The unique and individual structure as seen here shows the hard work and dedication required to bring a project such as this from design through to completion.